I love getting Abbey involved in the kitchen. 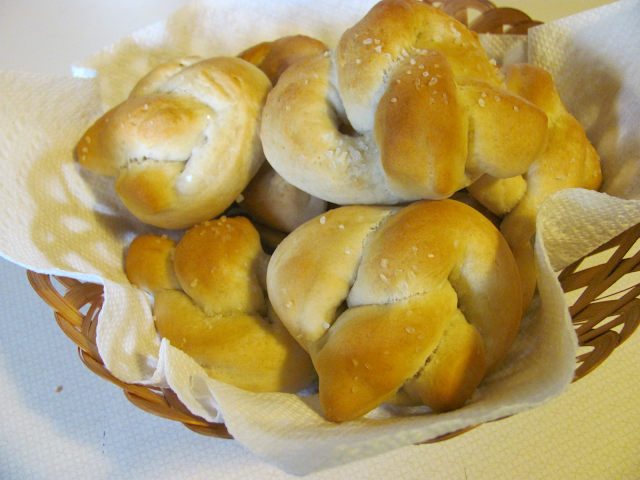 I have such fond memories of cooking and baking with my mom, and it's so much fun! 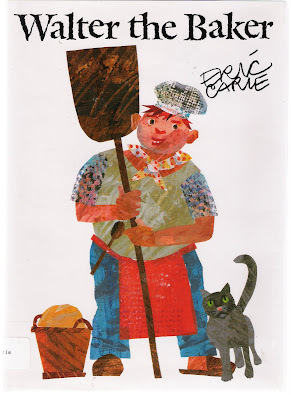 Today's book is Walter the Baker by Eric Carle. LOVE me some Eric Carle! In this story Walter is the baker for the king and queen. One day he runs out of milk for his rolls and makes them with water. 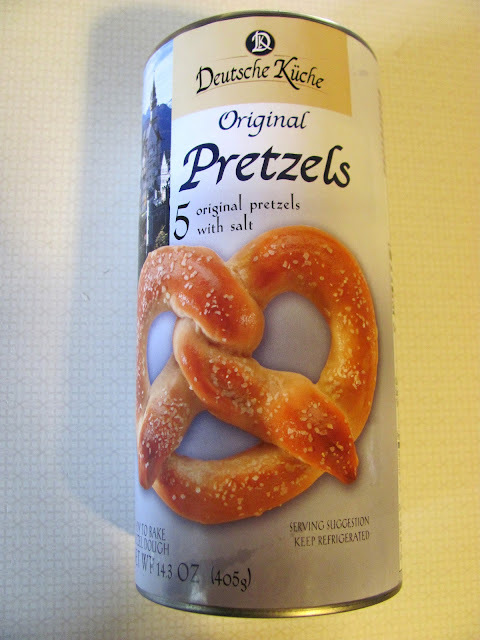 When the King and Queen hate what he brought them, he goes on a mission to find the perfect recipe, and comes up with....Pretzels! These were so much fun to make! My mom found canned pretzel dough (like crescent rolls) at Aldi, so we didn't even have to deal with pesky things like waiting for dough to rise. 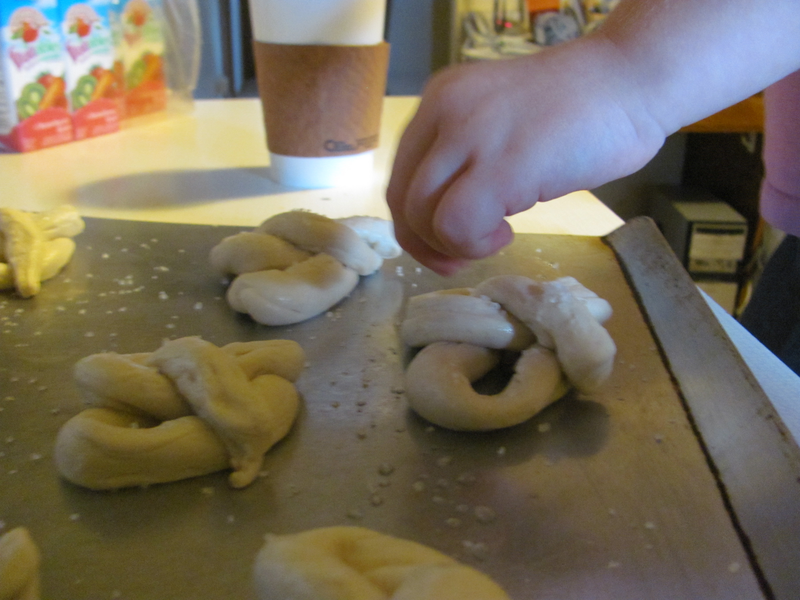 Perfect for baking with a preschooler! 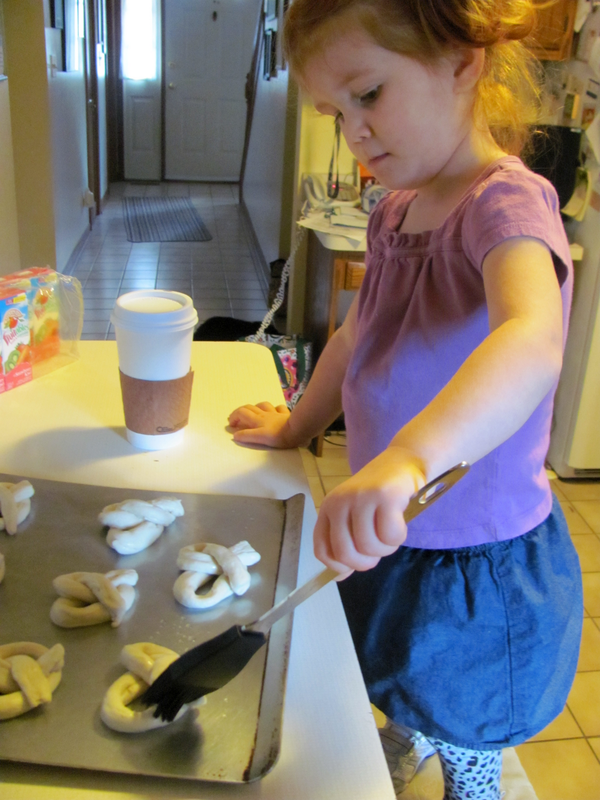 We had lots of chances for helping like twisting the dough, painting on the water, and sprinkling the salt. The can was designed to make 5 giant pretzels, but we cut the strips in half and made minis. Much better for little hands! 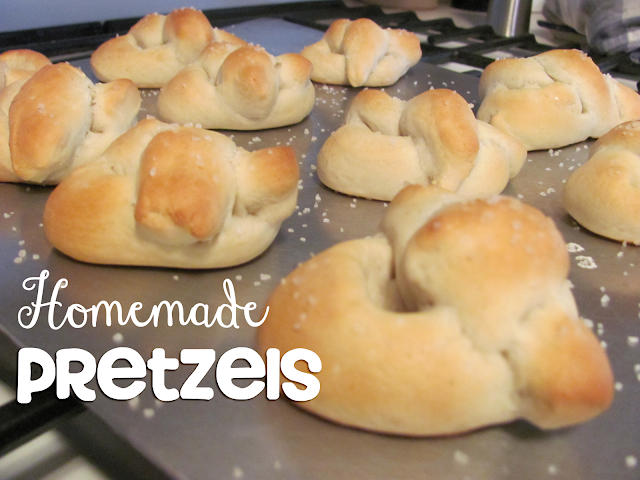 If you'd like to make pretzels the real way, I found a great recipe HERE.